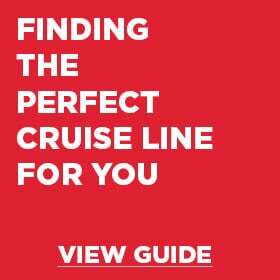 Finding the cruise line that’s a perfect fit for you is a lot like discovering your favourite restaurant in town. Some of your friends may rave about that new seafood place, but you’ve never cared for fish. Other people may clamour for haute cuisine but the stuffy attitude of the wait staff at some of those types of establishments just doesn’t appeal to you. Your favourite restaurant is that steakhouse with the fantastic wine bar with a view of the harbour. You love it because it offers the type of food you find delectable, a welcoming ambiance, and killer vistas. Discovering the cruise line that’s right for you means thinking about the things that are most important to you: food and wine, spa amenities, activities for children, the size of the ship, the passenger-to-crew ratio, and the destinations a cruise line sails. For example, if you’re a foodie you may be inclined to give Celebrity Cruises or Azamara a go. People who want a more formal experience—dressing up for dinner and attending masquerade balls—may want to opt for Cunard and one of its ocean liners. 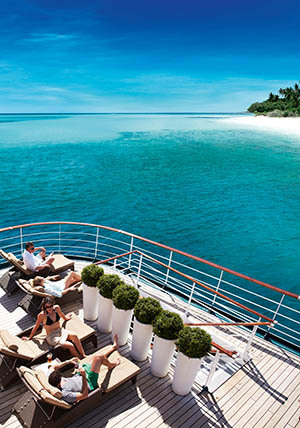 Travellers who expect the very best may gravitate toward the luxury lines of Silversea or Seabourn while families may prefer Royal Caribbean, Carnival Cruise Line or P&O Australia. Here’s a look at the top lines offering departures from Australian ports. If you’re you’re looking for more information about kids clubs or are travelling with infants, make sure to have a look at our Family Cruising page. P&O Cruises Australia is the biggest permanent big-cruise ship presence in Australia. While each of the cruise line’s ships were previously part of other Carnival Corp. cruise lines, each was refurbished extensively before joining P&O Australia. The key to P&O’s success is its focus on value for your dollar. This quotient lures everyone from couples to families and multigenerational groups that expect a mainstream cruise experience with plenty of activities like fitness classes and cooking demonstrations as well as dancing and karaoke. 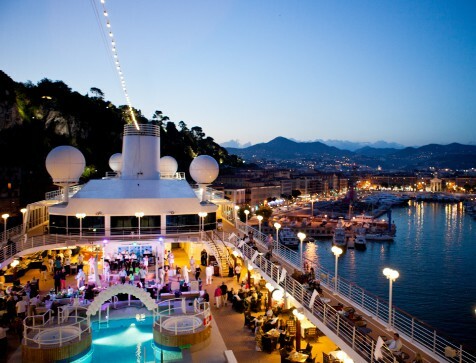 The onboard casinos are popular as are the cabaret shows, themed nights, and deck parties. The kids club is particularly good since qualified childcare workers and teachers staff it. As a whole, P&O Australia attracts a younger crowd than comparable lines operated by American or British interests. Extensive sailings to Australia’s most compelling ports of call – Great Barrier Reef, Adelaide, Sydney, and Kangaroo Island—are available as are itineraries calling on farther-flung islands like Vanuatu, Lifou, Noumea, and those of Micronesia. Other, smaller Royal Caribbean ships also offer itineraries visiting New Zealand, the South Pacific and throughout Australia. All of Royal Caribbean’s ships are really family friendly with amazing Adventure Ocean clubs with both indoor and outdoor play areas that include Internet-ready computers, a rock-climbing wall, video game arcade, book and movie library, craft corner, shuffleboard, tricycles, and a cool pirate ship splash pool with waterslide. The sheer number of Royal Caribbean cruises in the region is impressive and there is an itinerary for everyone, spanning from three-night samplers to 23-night voyages between Australia and the United states across the Pacific Ocean. Carnival Cruises sails three ships from Sydney and, from November 2019, from Brisbane. Families and couples appreciate Carnival ships for a variety of reasons. While these mid-sized ships are more than a decade old, they have been refurbished to offer modern amenities that today’s cruisers look for, like laid-back dress codes and a multitude of dining venues. Couples love the adults-only Serenity Retreat, Bonsai Sushi restaurant, and RedFrog Pub while families spend their time at the thrilling Green Thunder and Splashdown waterslides and Seuss at Sea shows. 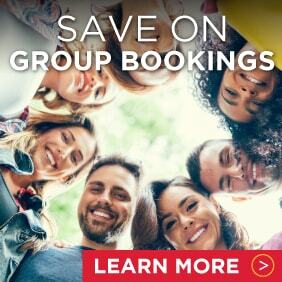 Cruises with Carnival call on ports in Australia, Tasmania, New Zealand, and the Pacific Islands as well as 2 to 4 night sampler cruises for those wanting to give cruising or Carnival a try. While Royal Caribbean Cruises is a frequent visitor to Australia, don’t forget that the line also offers a tremendous variety of itineraries around the world. You can select from a number of warm-weather island getaways like the Bahamas, Bermuda, Caribbean, and Hawaii, or head to the Pacific Northwest or Alaska to hike the rainforests and explore icy glaciers. Royal Caribbean visits places as diverse as the Arabian Gulf and Asia as well as Canada and New England, and Europe. Couples let Royal Caribbean take them to the globe’s most romantic cities – their seven-night round-trip sailing from Venice, Italy, is wildly popular and calls on Kotor, Montenegro as well as Corfu, Athens, Mykonos, and Argostoli, Greece. Families love options like the land/sea tour of Alaska that includes visits to Denali National Park and towering Mt. McKinley, where you may see everything from moose, bears, and wolves. A visit to Fairbanks is included, where your family can pan for gold and see just what it was like in Alaska’s Gold Rush days. You’ll also see spectacular Hubbard Glacier—known by the local Tlingit Indians as “White Thunder” – where, if you get lucky, you’ll see huge chunks of ice “calve” and crash into the bay. Contact us to find out more about these fantastic land/sea tours. From the Mediterranean to Alaska and beyond, Royal Caribbean can take you there. With 19 ships in its fleet, Princess Cruises really does have something for everyone. Couples tend to gravitate to the newer Royal-class ships: Royal Princess, Regal Princess and Majestic Princess. With a capacity of 3,500, these are large ships with all the bells and whistles you can image. 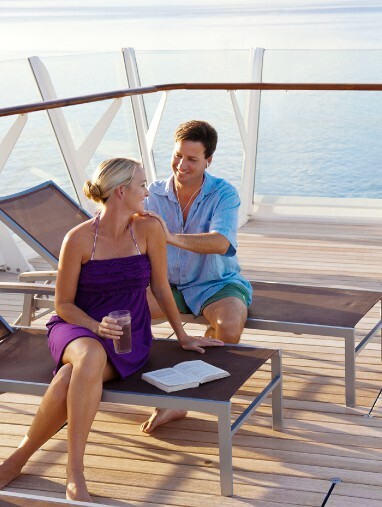 But, for couples, there is one extra that stands out: The Sanctuary adults-only sun deck. All of Princess’ ships—with the exception of the Explorer class—offer The Sanctuary and it’s a real plus for travellers who want a quiet and relaxing getaway sans children. Though this oasis will cost you extra (about $20 per half day or $40 for the full day), it’s worth it for the comfy lounge chairs, MP3 players with Bose noise-cancelling headphones, and waiters on stand-by that can bring you all manner of food and drink. Private cabanas are also available for rent. Families and multigenerational groups particularly like Princess’ Grand-class and Crown-class ships, which have a capacity for between 2,600 and 3,600 guests and are manageable for families with small kids or teenagers. Each offers a terrific sports deck and kids club and Ruby Princess in particular excels with a fun Ultimate Ship Tour that takes families behind the scenes to the engine room, the ship’s funnel, photo lab, and the bridge. A leader in family-friendly getaways, Disney Cruises sails four ships: two Dream Class vessels, Disney Dream and Disney Fantasy as well as two Magic Class ships, Disney Magic and Disney Wonder. As you can imagine, kids of all ages yearn to sail with Mickey and Minnie and Disney Cruise Line affords all of us the opportunity. Each ship offers slightly different amenities and special events such as meet and greets with characters on all ships, or the new Star Wars at Sea deck party and character experience aboard Disney Fantasy on select Western Caribbean sailings. 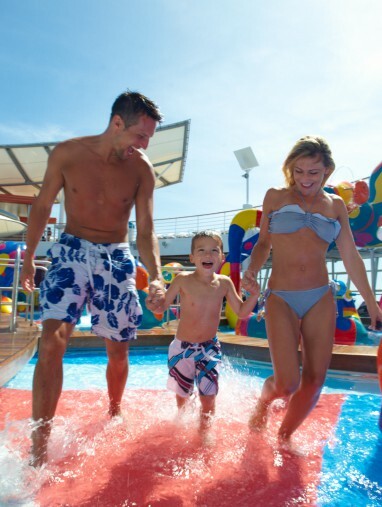 Children and adults alike love the waterparks on the upper deck of Disney ships. While it’s true that there is no lack of opportunities to keep the kids entertained, there are actually plenty of adults-only areas around the ships for couples to enjoy: Satellite Falls on Deck 13 of Disney Fantasy is adults-only and each ship has Quiet Cove, an adults-only pool and whirlpool complex. There are also five-star spa services and fine dining that competes with what’s offered by other premium cruise lines. Palo, offering Northern Italian cuisine, does not admit children. Additionally, couples and solo travellers can even book adults-only shore excursions through Disney Cruise Line. There are a few areas where Norwegian Cruise Line really shines and its array of accommodations is just one of them. If a splurge is in your future, you can’t go wrong with a suite in The Haven By Norwegian. This ‘ship within a ship’ enclave offers exceptional suites that include the services of a concierge and 24-hour butler. There is a private restaurant, lounge, and sundeck reserved specifically for guests of The Haven and you’ll receive priority when boarding tenders, booking entertaining and dining times, and more. Suites—all with balconies with stunning views—have one to three bedrooms and are perfect for families or couples traveling together. If a suite isn’t quite right for your cruise, Norwegian ships offer an array of options ranging from studios for solo travellers to inside and oceanview staterooms to mini-suites and spa suites that include complimentary use of some areas of the Mandara Spa, like the Thermal Spa Suites, sauna, hydrotherapy pools, steam room, and heated loungers. 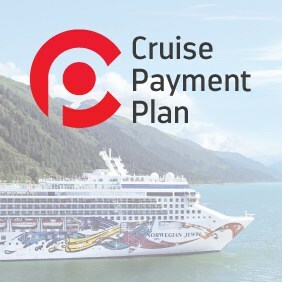 In addition to cruises in Australia and New Zealand, Norwegian sails to Asia, Alaska, the Bahamas, Bermuda, Canada and New England, the Caribbean, Europe and the Mediterranean, Hawaii, Mexico’s Riviera, America’s Pacific Northwest, the Panama Canal, and South America. The line’s newest ship, the 4,000-passenger Norwegian Bliss is currently being built and is due to take her maiden sailing in April 2018. With 17 ships in its fleet, MSC Cruises sails both new and older vessels but each has something special to offer. The Italian line draws mainly Europeans but more and more North Americans have been drawn to the company’s affordable and alluring itineraries. You’ll find an Aussie or two on many sailings. Of particular appeal to couples is MSC’s ‘ship within a ship’ concept in the form of The Yacht Club on MSC Bellissima, MSC Seaview, MSC Seaside, MSC Meraviglia, MSC Preziosa, MSC Divina, MSC Splendida, and MSC Fantasia. Guests booking a suite in The Yacht Club have access to private facilities like the panoramic Top Sail Lounge, a restaurant, and the One Pool Deck with a private swimming pool, whirlpool tubs, sun deck, and bar. For families, here’s a compelling fact about MSC Cruises: kids under 12 sail free when travelling with two full fare paying adults in the same cabin. The line also offers an array of shipboard activities for a range of ages. All kids love the Aqua Park, waterslide, and swimming pools and there are also high-tech pastimes like Virtual World, an F1 racecar simulator, and a 4-D Cinema. Kids club facilities are topnotch, allowing for the entire family to enjoy age-appropriate activities all day and night while onboard any MSC vessel. Costa Cruises has long been a staple in the European market and draws mainly a European clientele with some North Americans thrown into the mix, but Australians won’t feel out of place on any of the line’s 16 ships. The demographic skews slightly younger on Costa ships with a large number of families and younger couples travelling alongside retirees. With the line’s Italian influence, you won’t be surprised to hear that Michelin-star chef Fabio Cucchelli has designed menus for Costa’s dining venues. The line also partners with Italian brands like Illy Caffe, Barilla, and Nutella. The line’s flagship is the 4,947-passenger Costa Diadema, which launched in 2014 and is similar in size and design to Carnival’s Dream Class. Two ‘next generation’ cruise ships are on order and will make their maiden sailings in 2019 and 2020. Until then, Costa is putting an emphasis on refurbishing its older ships so they all provide the same high standards of service. Couples especially appreciate the Samsara Spa while families like the Squok Club that provides children’s activities throughout each cruise. Costa sails around the world from the Indian Ocean to the Caribbean, the Middle East and Europe and even offers complete world cruises. You may have experienced one of Carnival Cruises ‘Fun Ships’ in your own backyard, but the line—the largest in the world—also sails 28 ships under the Carnival International banner across the globe from Hawaii and Mexico to Bermuda and the Caribbean to Europe and the Panama Canal. No matter where you sail, Carnival itineraries represent an incredible value for the money. Each cruise ship offers a variety of onboard activities from Broadway-style shows at night to galley tours during the day. Public rooms are on the flashy side and the casino tends to be one of the most popular areas of the ship. The main dining room offers two set seatings as well as Your Time Dining so you can eat your meals when you wish. Carnival exceeds expectations with its casual dining establishments that range from New York-style delis to sushi bars to pizzerias and Indian buffets. Couples love The Chef’s Table dining experience, in which you tour the galley and enjoy a private cocktail reception before the chef prepares a multi-course meal. Families enjoy watching movies at the outdoor Seaside Theatre. While some ships are on the older side, Destiny Class and any ship built thereafter all have a pool with a retractable roof so it can be used rain or shine. Just utter the name “Cunard” and it conjures up images of the golden age of cruising when ocean liners ruled the oceans and high society’s men and women sailed to see and be seen. Things haven’t changed all that much. 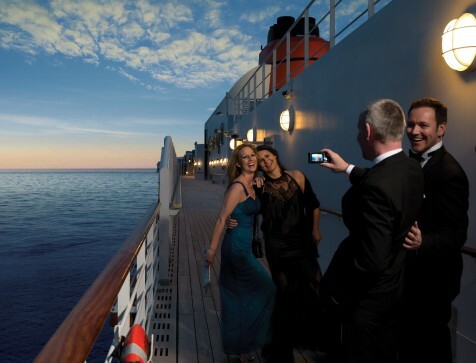 Today, Cunard Cruises remains one of the most formal cruise lines. In fact, there are two formal nights per week-long sailing where ball gowns and tiaras are not amiss and the ‘informal’ dress code on other nights of the voyage simply means that men can forgo the tie but they still must wear a jacket to dinner. Cunard owns three vessels: Queen Mary 2, which accommodates 2,594 guests and has recently undergone a 90 million Pound refurbishment; the line’s newest ship, the 2,068-passenger Queen Elizabeth; and the 1,988-passenger Queen Victoria. If you love sipping Champagne cocktails, attending white-glove afternoon tea, dressing to the nines, and adhering to set dining times, Cunard is your best bet. Holland America Line and its 15 ships is for the traditionalist that enjoys fine food and wine, afternoon tea, and ballroom dancing but also demands modern amenities like flexible dining arrangements, onboard activities, and entertainment options like the B.B. King Blues Club (on select ships). HAL’s Signature Class (Eurodam and Nieuw Amsterdam, each carrying about 2,100 guests) is the line’s most popular followed closely by the Rotterdam Class that includes Amsterdam, Rotterdam, Volendam, and Zaandam —all carrying between 1,390 and 1,440 passengers. Prinsendam, the only ship in The Elegant Explorer Class, is also well regarded and draws individuals that seek an intimate ship (she only accommodates 793 people) that offers longer itineraries to more adventurous destinations. Complimentary afternoon tea is another draw and Holland America jazzes things up with themes like Royal Dutch Tea, Indonesian Tea, and Cupcake Tea. If you love the concept of Holland America but prefer a brand-spanking new ship, the line’s Pinnacle Class ships —the 2,650-passenger Koningsdam and Nieuw Statendam—are for you. 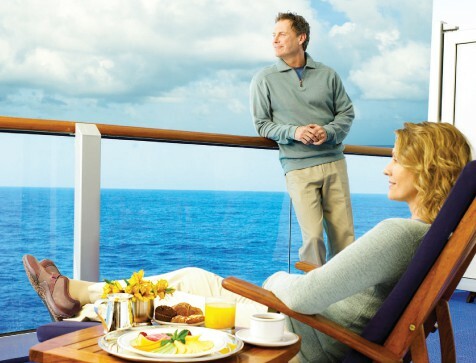 Mature couples and retired individuals make up the passenger compliment on HAL ships with some multi-generational families in the mix during the summer months. The 15-ship Celebrity Cruises fleet is alluring for many reasons: beautiful new ships, older vessels that are well cared for, food and wine options that will knock you out, and impressive art collections that span both traditional and modern genres. Five ships—Celebrity Eclipse, Celebrity Equinox, Celebrity Reflection, Celebrity Silhouette, and Celebrity Solstice—are part of the newer Solstice Class and get rave reviews from cruisers who love the large cabins, AquaClass spa staterooms, Concierge Class accommodations, and the new Suite Class that offers a private restaurant and VIP lounge. Ranging from 2,850 to 3,046 guests, these ships offer a variety of restaurants, some carrying a surcharge. The Lawn Club, a real (and expansive) grassy area on the top deck, is a breath of fresh air and a wonderful place to hang out during warm-weather itineraries. Celebrity also gets high marks for pouring money into the refurbishment of its Millennium-class, including Celebrity Constellation, Celebrity Infinity, Celebrity Millennium, and Celebrity Summit. While these ships are more than a decade old, they’ve been reimagined and upgraded to include the same amenities and high-quality dining venues as found on Solstice Class ships. The newest ship to the fleet, Celebrity Edge, has been pinned to revolutionise the cruising world. Celebrity Edge features the ‘Magic Carpet’, an extraordinary venue that can slide up and down the side of the ship, as well as redesigned staterooms which include a new 2-storey villa. Celebrity is also one of the only cruise lines that sail the Galapagos Islands. Their Xpedition class ships – Celebrity Xpedition, Celebrity Xperience, Celebrity Xploration – and new Flora class Celebrity Flora are much smaller, accommodating as little as 16 passengers or up to 100, the ships offer 7 night intensive cruises that hop between the islands. Anyone seeking an intimate ship and exotic itineraries need search no further than Princess Cruises‘ Explorer class of vessels, including the 680-passenger Pacific Princess. Considered small cruise ships by today’s standards, this class of ships are among the most popular in the entire Princess fleet. Pacific Princess even offers a full world voyage, which can also be booked as individual, shorter sectors with destinations ranging from Australia to Asia to the Mediterranean to the Middle East to the Caribbean to a Panama Canal crossing and a visit to the South Pacific. Princess—with its fleet of 19 ships—also offers mid-size options like the Coral and Sun Classes that welcome approximately 2,000 guests per cruise and there are also larger, newer ships in the form of Royal Princess, Regal Princess, and the newest Majestic Princess each with a capacity for 3,560 guests. All Princess ships offer set seating and Anytime Dining as well as Movies Under the Stars on the deck. If you’ve got an affinity for all things British consider venerable P&O Cruises UK and its fleet of eight ships catering to between 710 and 3,647 travelers. Most passengers will be from Great Britain but you’ll also meet other Australians as well as a few Americans, Canadians, and Europeans. Two of P&O’s ships—Arcadia and Oriana—are meant exclusively for adult passengers with Arcadia offering the most traditional cruise experience. Iona is the line’s newest and biggest ship and it features The Retreat, an adults-only covered and open-air terrace offering spa treatments that is reprised on Britannia, Azura and Ventura. All ships feature a main dining room as well as a variety of specialty restaurants, some with menus designed by celebrity chefs like Marco Pierre White, Atul Kochhar, and James Martin. As far as onboard activities go, one of the most popular is the line’s Strictly Come Dancing series that features guest appearances by professional dancers. If you’re looking to maximise your time in port, take a serious look at the offerings from Azamara Cruises. That’s because the company plans itineraries with few sea days and instead focuses on ‘destination immersion’ with overnight stays in port, longer daylong calls, and the opportunity for night touring in some destinations. There are even options for a few overnight excursions to inland cities like Moscow and Madrid as well as to some UNESCO World Heritage sites like the ancient cities of Angkor Wat in Cambodia and Bagan in Myanmar. The line sails three ships—Azamara Journey (686 passengers), Azamara Quest (694 passengers) and the newest Azamara Pursuit (680 passengers). The ships’ smaller size means that they can visit the most popular cruise ports around the globe like Venice and Barcelona as well as smaller, more off the beaten path destinations like Komodo, Indonesia and India’s Andaman Islands. Additionally, Azamara throws some pretty cool private parties onshore in the form of its complimentary AzAmazing Evenings. Once per cruise, Azamara invites guests to experience a unique aspect of the destination. That could mean an evening with the Tasmanian Symphony Orchestra or the opportunity to visit a Bedouin camp in Wadi Rum, Jordan to enjoy the music and dance of the region. Azamara attracts active baby boomers who enjoy the complimentary wine, beer, and spirits; self-service laundry; and shuttles to the center of town in many ports. Two of the ships’ four restaurants—Aqualina and Prime C—carry a $25 per person surcharge. This family-owned Italian company offers three distinct luxury cruise experiences: super intimate sailings aboard Silver Wind, Silver Shadow, and Silver Whisper that cater to 296 to 388 guests; passage aboard Silver Spirit, currently the line’s newest and most beautiful ship that welcomes 540 passengers per sailing; and Silversea Cruises’ rugged yet luxurious expedition ships —Silver Cloud Expedition, Silver Discoverer, Silver Explorer, and Silver Galapagos—that offer in-depth and active exploration of destinations as diverse as Australia and Asia, Antarctica and the Arctic, Africa and Alaska, and the Galapagos and Micronesia. Silversea’s newest vessel, Silver Muse, is the largest in the fleet, accommodating 576 passengers and including eight dining venues, three of them outdoors and one a member of the famed Relais & Chateaux consortium of gourmet restaurants, boutique hotels, resorts, and villas.. No matter which type of experience you prefer, Silversea’s ships are all-suites and include the services of a butler trained by The Guild of Professional English Butlers. Silversea strikes just the right blend of high-end amenities and comfort and there is nothing contrived or stuffy about the customised service you’ll experience onboard. There is a no-tipping policy and all soft drinks, beer, liquor, and wine (except for truly premium brands) are included in the cruise fare. Seabourn and its well-designed all-suite, 450 to 600 guest ships—Seabourn Odyssey, Seabourn Quest, Seabourn Sojourn, Seabourn Encore and Seabourn Ovation—gets high marks for a cruise fare that includes wine, beer, and liquor; its no-tipping policy; exemplary personal service; spacious all-balcony staterooms; The Spa at Seabourn and its sumptuous private hideaways and treatments; the retractable aft watersports marina from which you can swim or launch a kayak or other watercraft; and excellent dining options, including a new partnership with American chef Thomas Keller. Keller is the talent behind 12 restaurants and bakeries, including three Michelin-starred venues: Bouchon, The French Laundry, and Per Se. The chef developed an array of appetizers, entrees, and desserts for the dining venues throughout Seabourn’s fleet and, in Spring 2016, his own signature restaurant will make its debut aboard Seabourn Quest before being rolled out to the other ships in the fleet. 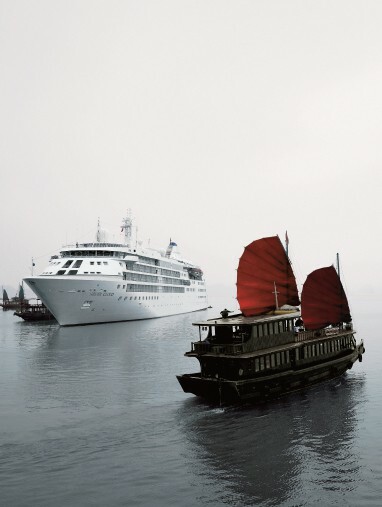 Seabourn truly sails the globe and offers an array of interesting Australia and New Zealand itineraries as well as routes visiting more far-flung destinations like Antarctica and Patagonia, Northern Europe and the Mediterranean, and Arabia and India. The line’s fleet attract savvy individuals travelling as couples or solo as well as multigenerational families. Want to see what cruises are on sale? View deals for current cruise lines here or contact us.